I find reviews like this a useful steer on future work. Academics can be notorious in misjudging the ‘mood music’ of the main drivers behind the service: people who use the services, which in my case are people living with dementia, their friends and family and other carers. I am in a privileged position in having access to thousands of peer-reviewed papers, but also feel that I have learnt a lot about the dementias from people living after a diagnosis. My knowledge of dementia has vastly improved since I took myself away from the medical lens, and adopted a viewpoint of other professionals and practitioners and people living with disability. The Forewords to this text are by Kate Swaffer (@KateSwaffer), Chris Roberts (@mason4233) and Beth Britton (@BethyB1886). The book is on Amazon here. There has been much written and spoken about dementia in the media recently as a result of the government’s Dementia Strategy, which aims to help those with dementia, their families, professionals and carers be more responsive to needs. 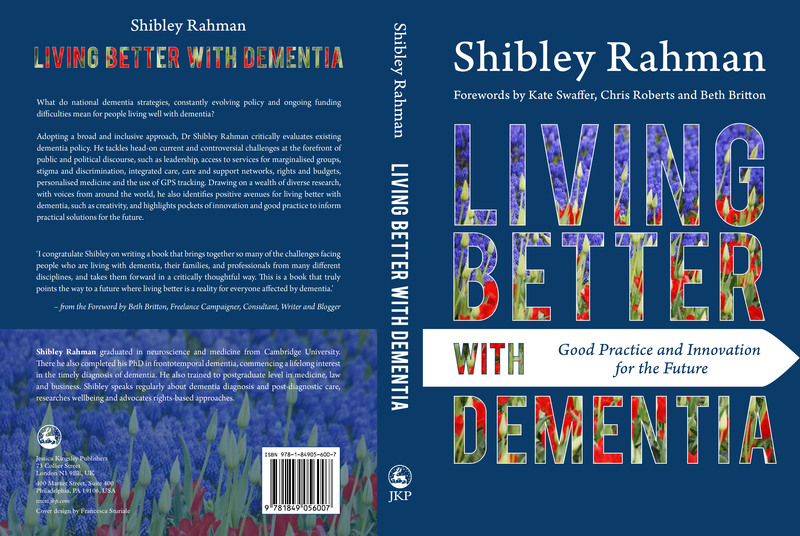 In this context, Living Better with Dementia, by Dr Shibley Rahman, a dementia expert who is qualified in medicine, neuroscience and law, is highly relevant. Initially, Rahman talks about the stigma of dementia and how this has remained through the past century, despite dementia becoming better understood and having a more positive outlook in recent years. 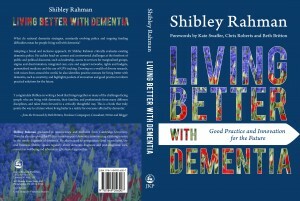 While dementia and the whole management perspective can appear a challenge as the older population survives longer, this book is encouraging and positive. Specific medication that delays the onset of dementia symptoms and other medication like antipsychotics are discussed at length, including their use in nursing and care homes and how specific practices that have no evidence base can be challenged. Two chapters that for me stuck out as very important were on young onset dementia and on antipsychotics and innovation. Young onset dementia was first explained to me at the author’s book launch, where nurse lecturer Kate Swaffer from Australia, who has young onset dementia, gave a moving talk. The impact is huge for the individual, their family and peer network as well as professionals. It affects employment, career opportunities and has a huge stigma attached to it as it is still often misunderstood. This is all discussed in the book. The use of antipsychotics and care homes is also discussed at length. This is an important chapter, especially for those who look after those going into residential care, and it can enable them be on alert to good practice and how to spot where medication is used inappropriately. Antipsychotics use in care homes is a complex issue. In many cases careful use can ease distress and agitation, but there seems to be concerning evidence that there is over-prescribing of antipsychotics where behavioural treatments are more appropriate. Using extensive research, Rahman explains why using antipsychotics needs careful thought. Other chapters focus on deprivation of liberty, sporting memories, global view and leadership strategies. Previous PostThe dementia conference is dead! Long live the meet up.Next PostDo you see what I see?